How did Coppercreek shape me? And John Denver isn’t even a natural fit for me! One truly and deeply fabulous thing about this place is that it is not a specialist camp. 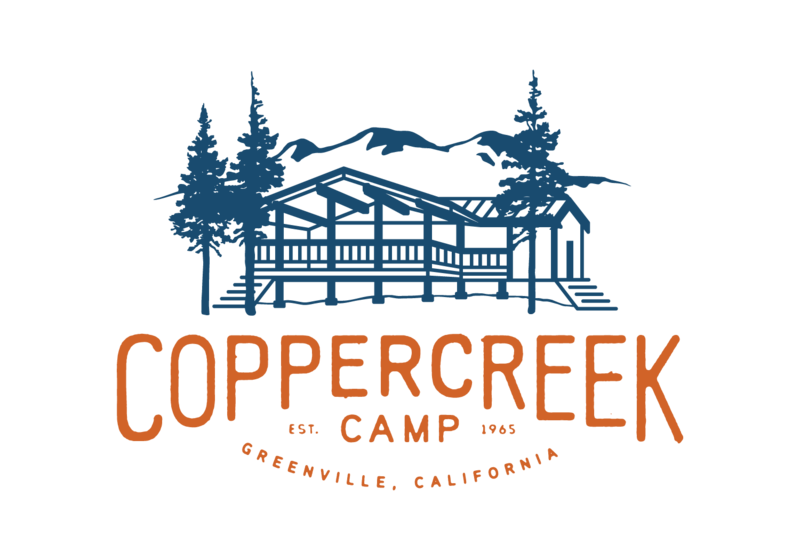 We offer many opportunities, and those things are indeed headed up by specialists, but you, as a camper, are required only to bring your open heart and willingness to any new endeavor you choose to try this day. Lornie put me in a kayak at 15 because I was willing. I was not a natural at it and I was not skilled, but I not only survived running my kayak into the willows and meeting the damselfly larvae there (those things are alarming! ), I enjoyed it and it inspired a life-long confidence in my own ability to navigate new experiences: I can have some skin in the game, and even if I get scraped up in the process, the education will support me moving forward. Pete Seeger asked a rhetorical question: what’s the difference between education and experience? Education is what you get when you read the fine print, experience is what you get when you don’t. The specialists have both the education and the experience to guide the rest of us beginners through portals of adventure. Go outside and play with your friends. Wake up early and go to bed tired. Sit down to meals with your people and happily quench that appetite, and then go sleep it off! Rinse, lather, repeat. We wake up to music in the mornings. There was always a radio playing when we groomed and tacked up the horses. There was always a boombox at the pool. The boys in the Swamp were a reliable source for something new and interesting, musically. Someone brought some Leonard Cohen cassettes to camp around 1981 (was it you, Karly? Or was is a Ballard sister? Maybe it was Theo.) and I had Famous Blue Raincoat bouncing around in my head until 1990, when I found the album it was on and bought it. One day recently, I was driving from Sacramento to San Francisco, and Let’s Go by the Cars came on my stereo, and I was transported to the back deck of the house where we used to hold our Friday night dances and I remembered the smell of the night and the way we make those floor boards vibrate. Music turns out to be a powerful sense trigger for me. Ryleigh put the Hamilton soundtrack on at art last summer and everyone there that hour sang their hearts out while continuing to work their projects: music, man – it’s a heck of a drug! I started at Coppercreek 1978 as a pretty sheltered, moderately shy little girl who didn’t really care to brush her hair, and people who were new to me then became instrumental in shaping the direction of my life. John Lindskog had a vision for a place where we could all be our truest and best selves, and by choosing his partners wisely, that vision grew to the camp we have today without ever losing the true heart of the place. YES! Beautifully told. This holds true for me as well, I led many a campfire, still have all the songs in me. The tears as we sang “Leavin’ On a Jet Plane” to campers departing the next day, Vespers…thanks for bringing up these memories Ems. And snarled hair and all, you were a brilliant and oh so welcome camper and I was so honored to be a part of your staff. These words still ring true of camp, my son attended for many years…he’s 21 now and we still bring out the guitar and share camp songs. Memories that live!